The city-owned arena downtown Bloomington in central Illinois has a new name: Grossinger Motors Arena. The change is effective immediately after the vehicle dealership was awarded naming rights for the next five years. 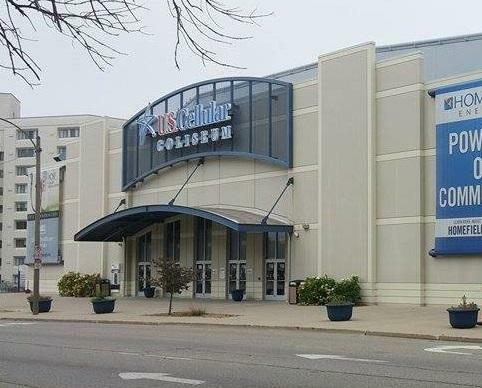 It replaces U.S. Cellular as lead sponsor of the arena. The naming-rights contract with Grossinger extends until 2022. The company will pay $175,000 a year. That's the same amount U.S. Cellular paid. U.S. Cellular chose not to renew naming rights because it no longer has stores in the Bloomington and Normal area. Dealership representatives say having the arena bear its name strengthens the business' ties to the community. The family-operated business has 18 auto franchises primarily in the Chicago area. The Bloomington City Council will be asked to approve the deal Monday.